3M Healthcare offers medical products, including wound care solutions and oral care solutions that help prevent infection and promote healing, as well as stethoscopes, surgical masks, dental supplies, medical equipment. It also offers health information systems and software solutions that get the right people the right information right when they need it. 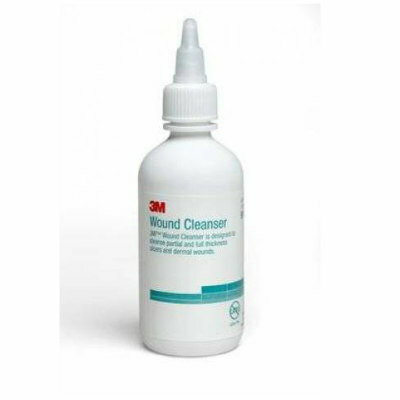 The 3M Wound Cleanser is a non-antimicrobial, no-rinse liquid with a zinc-nutrient formulation that provides a moist, mildly acidic environment conducive to wound healing. It is available in a single patient multi-dose unit, designed to cleanse partial and full thickness ulcers and dermal wounds, including pressure ulcers and open surgical incisions.